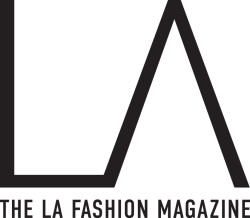 The LA Fashion Multi Media Inc. offers $10 standard domestic US shipping for the first item with a $2 upcharge for each additional item and $20 international shipping for the first item with a $2 upcharge for each additional internationally shipped item. If you are ordering from multiple designers on our site, you will be charged a separate shipping fee per designer. Once your order is shipped you will receive tracking information for each order. All LA Fashion Multi Media Inc. designer merchandise is shipped to you directly from individual designer or partner boutique warehouse in their respective country of production. Please see product description to see if designer brand you purchase from is accepting return and in which period for full refund. Below return policy applies to all LA Fashion Multi Media Inc. designers unless otherwise stated in product description. IMPORTANT: Depending where the designer is located and where the product is shipped, some items may be subject to customs or duties fees. Customer is responsible for all customs or duties fees that may apply upon receiving item. You may return most new, unopened items with original tags within 14 days of delivery for a full refund. All returns are paid by a shopper with tracking via regular mail unless otherwise stated in product description. Return labels when provided are NOT prepaid.